When your home is not attached to a sewer plant, your only option is to install septic system in your household to handle, treat and dispose your waste. This specific type of disposal system requires an underground septic tank to hold all the waste from the household and a soil absorption system to disperse clean wastewater back into the land. The size of your septic tank system depends on the size of your home and the number of people living in. Bigger house needs bigger tank. There are various types of septic tanks. Each one of those types will affect the tank construction cost and its duration length. Concrete tanks are one of the most common tanks installed. This type of septic tank is liable to cracking and separation, although their duration prolongs over couple of decades. Our team in MegaSeptic could manually inspect your concrete tank on a regular basis, making sure there are no cracks or runoffs. Having a regular inspection with MegaSeptic will ensure that your septic tank has a long life servicing your household. Plastic or fiberglass septic tanks are lightweight and durable, made of inexpensive material and are less liable to cracking than concrete. Also, plastic tank is resistant to rust which is very important fact. The only weakness of the plastic tank is that if it is not properly installed, it can float to the surface of the lawn or even get damaged during installation. That is why we recommend you to call our experts in MegaSeptic and we will take care of the installation of plastic tank in your household. The least popular septic tank is steel septic tank. It is liable to corrosion and its covers are not reliable, being a potential danger for an unsuspecting person to fall through its corrosive covers. 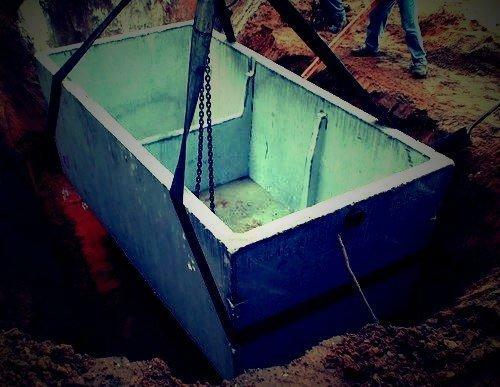 If you do option for the steel septic tank, we would advise you to call us and have it properly installed and have a regular check of its cover and general state.